If we have two choose two biggest trends of 2018, we will definitely choose AI and smartphones. These two are really hitting the market and people are going crazy about these two trends. Therefore some of the genius minds have thought of combining these two to make something incredible. These two are the biggest move in the world of technology. 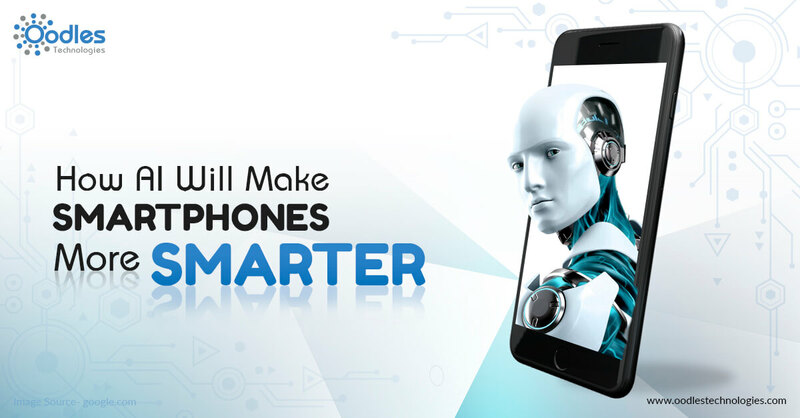 The artificial Intelligence can bring some really good changes in the smartphone industry. We have listed few of such changes. AI makes day to day tasks of life easy and the use of AI on your smartphone can prove to be really beneficial. AI will understand user every action on the smartphone. AI is used in all sort of functions like daily usage, setting up alarm, profile or even your usage pattern on the smartphone. As AI learns from your usage there for more you use your smartphone, more AI will recognize and will give better results. AI even learns while in the sleeping mode. The AI makes the future tasks much easier. Improving the camera quality is the biggest target of all the smartphone making industry. The industry is collaborating with AI to detect objects in the camera frame. The setting can easily be adjusted once the object is identified. With time, AI will start identifying the facial features without the need for human assistance. This feature will help in enhancing the picture quality. Voice assistants are quite a thing now. There are many voice assistants such as Siri, Alexa, Google Assistant, Cortana. These devices are capable enough to understand your questions and give relevant answers. This all could happen because of the use of Artificial Intelligence. Voice assistants also help in understanding and analyzing the usage patterns of the user. AI is the major part of any voice assistant device. It helps in calling, sending messages, playing music, weather updates and much more. Voice assistants have become the part of our life now as they make out the task so much easier. The need for translation apps is growing day by day. There are ample of apps available in the market which helps in a translation of text from one language to another. The process of translation starts from capturing text present in the image and then upload it to the internet for translation. But this is not in the case of smartphones. Instead, there will be no requirement for the internet to get the text, it will directly translate by phone.